Polyarteritis nodosa (PAN) and Microscopic polyangiitis (MPA) are two vasculitides which were previously grouped together. However, they are currently thought of as two separate entities. PAN is a vasculitis of the medium-sized arteries, sparing the smaller vessels and therefore does NOT cause a glomerulonephritis. Any renal compromise which results is generally due to ischemia from inflammation of the medium-sized renal vessels. PAN is often associated with hepatitis B infection. In contrast, MPA is a vasculitis of the small-sized vessels, and therefore results in a pauci-immune glomerulonephritis. It is very commonly ANCA-positive. Infectious metastases (e.g., infective endocarditis, epidural abscess, liver & lung abscesses, etc) are unfortunately not uncommon in the ESRD population, particularly in those with in-dwelling catheters. 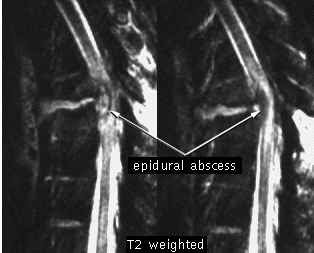 I have personally seen several cases of epidural abscesses as a fellow, a complication which can be neurologically devastating and nearly impossible to treat. Clearly, prevention is the key issue. A small but instructive case series from Kovalik et al in a 1996 issue of JASN reviewed all the cases of dialysis patients with epidural abscess over a 5-year period within the Duke health care system. Of the 10 patients identified, the majority (8) had catheters, 5 of whom with known bacteremia with an attempt to treat the infection with antibiotics alone. The lesson, if you haven't learned it by now: catheter-associated bacteremia virtually always should be treated with a line change, as there are significant risks to doing otherwise. The M3 subtype of acute myelogenous leukemia--also known as acute promyelocytic leukemia--is one of the most responsive forms of leukemia, as the addition of all-trans retinoic acid (ATRA) is known to overcome the maturation block in affected lymphocytes. While this is generally good news for leukemia patients with M3 disease, about 5-25% of patients get an ATRA-induced systemic illness termed "ATRA Syndrome". 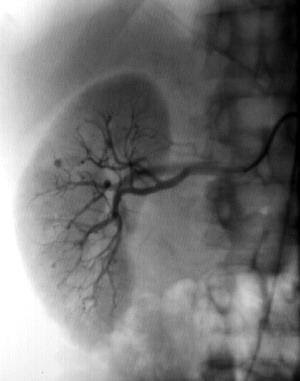 Symptoms are widely variable but can include fever, interstitial pulmonary infiltrates, pleural/pericardial effusions, and (the reason for its inclusion in this blog), acute renal failure. 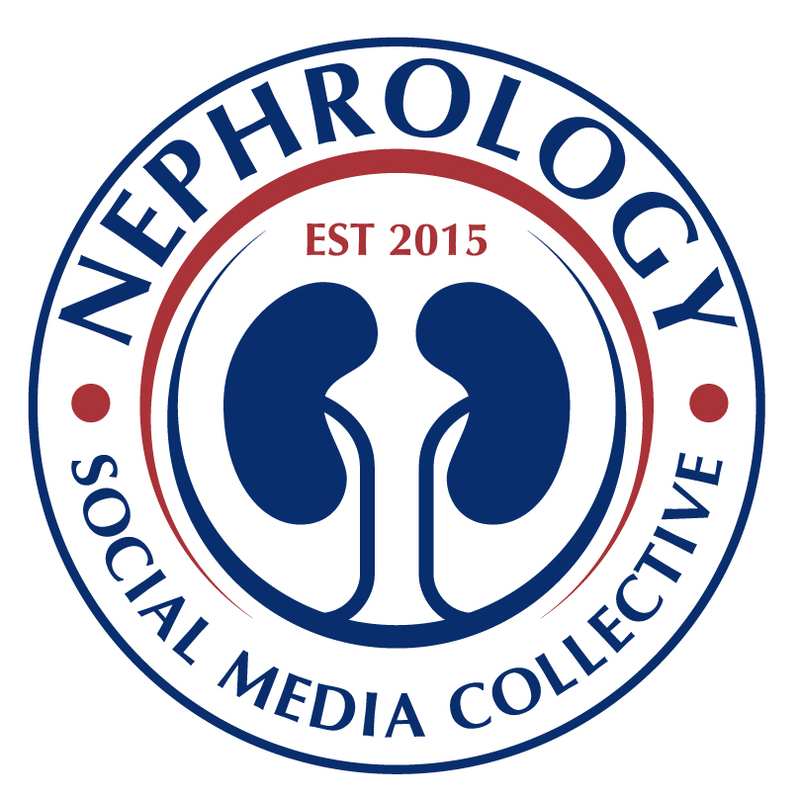 The topic has been a relevant one for me as there are currently two patients on the Renal Consult service I saw today with ATRA-induced renal failure. The mechanism is unknown but is posited to be due to mass release of cytokines by affected APL cells. It can be treated by holding the ATRA and administering corticosteroids. Newly-Discovered Antigen for Membranous Nephropathy! I went to a very memorable talk today at our Renal Grand Rounds during which fairly convincing data was presented that identifies the long-sought-after antigen which causes membranous nephropathy--still the most common cause of adult-onset nephrotic syndrome in whites. The presenter (Larry Beck of Boston University Medical Center) described a fairly straightforward approach: he took serum from patients with membranous nephropathy and used it on Western blots of normal human kidney tissue. 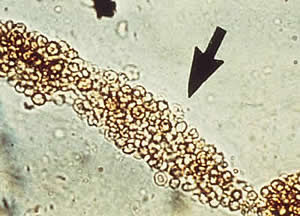 In about 70% of cases of idiopathic membranous nephropathy (but in 0% of cases of secondary membranous nephropathy and 0% of other nephrotic syndrome states such as FSGS and diabetic nephropathy), Western blotting reveals a 189kD band, which is identified as M-type phospholipase A2 receptor. We don't know much about the protein's function, but it does appear to be present in podocytes, and IgG4 antibody against this protein can be eluted from membranous nephropathy biopsy specimens. Interestingly, in some patients this 189kD band disappears after successful treatment with standard membranous agents, implying that an ELISA test may be an effective way of monitoring these patients (much like the ANCA is used for Wegener's granulomatosis, for instance). The data is not yet published but chances are good it will end up in a high-profile journal soon. IgA Nephropathy & Post-Strep Glomerulonephritis (PSGN) are both relatively common causes of glomerulonephritis which can both be associated with upper respiratory infections. How can you tell them apart? One of the most important distinctions can be made in taking a good history: In PSGN, glomerulonephritis typically does not set in until several weeks after the initial infection. In contrast, IgA Nephropathy may present with so-called "synpharyngitic glomerulonephritis"--pharyngitis and glomerulonephritis at the same time. In addition, PSGN classically presents with hypocomplementemia, and if the patient undergoes a renal biopsy there is evidence of an immune complex-mediated process. In contrast, IgA Nephropathy shows normal serologic values (though IgA levels may be elevated in about a third of patients) and the renal biopsy will show mesangial IgA deposition. The juxtaglomerular apparatus (JGA) is located between the afferent arteriole and the returning distal convoluted tubule of the same nephron. 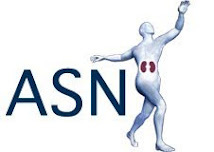 It is responsible for regulating both intrarenal (tubuloglomerular feedback) and extrarenal (renin-angiotensin-aldosterone) mechanisms necessary to maintain both renal and entire body volume status. (1) the juxtaglomerular cells of the afferent arteriole, synthesize and store renin, which is secreted in response to specific stimuli (e.g., low blood flow, decreased NaCl delivery). The juxtaglomerular cells could be considered the "effector arm" of the renin-angiotensin-aldosterone axis. 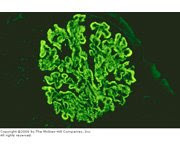 (2) the macula densa, a region of the distal convoluted tubule characterized by tubular epithelial cells which are more densely-packed than in other regions of the nephron (and thereby leading to its characteristic appearance on light microscopy). The macula densa can be considered the "sensory arm" of the renin-angiotensin-aldosterone axis in that these are the cells which sense decreased Na Cl delivery which determines downstream function. They are also involved in the mechanism of tubuloglomerular feedback. (3) mesangial cells, which form connections via actin and microtubules which allow for selective vasoconstriction/vasodilation of the renal afferent and efferent arterioles with mesangial cell contraction. The WAGR Syndrome is a rare genetic syndrome whose acronym stands for Wilms tumor, Aniridia (an absence of the iris), Genitourinary abnormalities, and mental Retardation. It is caused by a deletion of chromosome 17p. The genitourinary abnormalities may take the form of gonadoblastoma (a gonadal tumor), or in boys hypospadias or undescended testicles. Occasionally (though not commonly) renal failure can accompany the syndrome. 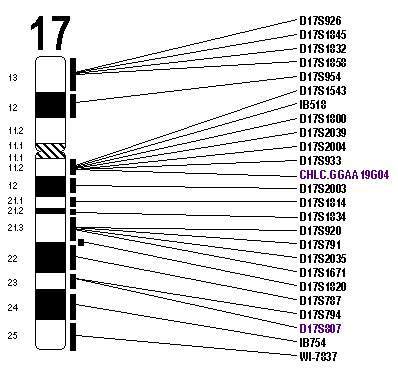 The fact that these individuals often get Wilms tumor is because the WT1 (Wilms tumor) gene, a tumor suppressor, lies on the deleted portion of chromome 17. A subset of individuals with the WAGR syndrome also have obesity--potentially due to whether the gene BDNF (brain-derived neurotrophic factor) is deleted or not. 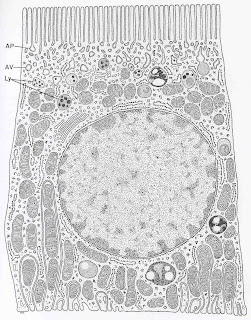 The "ciliary hypothesis" refers to the idea that primary cilia--single, non-motile, microtubule-based structures which are found on the apical surface of renal tubular epithelial cells--play an integral role in the pathogenesis of polycystic kidney disease. Scientists have long known about the existence of renal cilia; however, they felt up until the past decade or so that they were a "vestigial organelle" with no function. What changed? First, with the cloning and characterization of the two main genes for autosomal dominant polycystic kidney disease (PKD1 & PKD2), it was determined that the proteins which they encode localize in part to the cilia. Furthermore, a number of other rare pediatric diseases of cystic kidney formation (e.g., Bardet-Biedl Syndrome, nephronophthisis, ARPKD, etc) are also caused by mutations in genes which play an important role in the cilia. 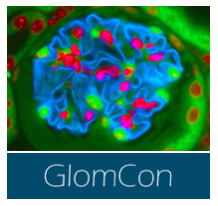 Exactly how a loss of cilia function might result in cyst formation is still under investigation, but the current dogma states that as urine flows down the tubule, it bends the rigid cilia forward, thereby sending a signal to halt proliferation; if the cilia are not present, the signal is not sent, and cells continue to proliferate. This is a gross simplification, but this is the ciliary hypothesis in a nutshell. 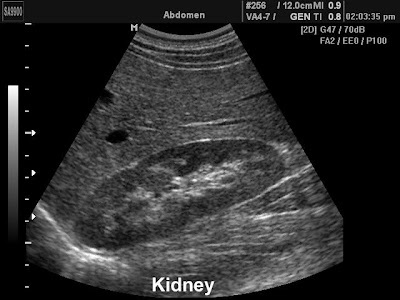 The differential diagnosis for large kidneys (often demonstrated on renal ultrasound) is interesting, as there are a few conditions which are especially associated with this finding. Of course, with any type of chronic damage, the kidneys tend to scar down and atrophy. 3. the early stages of diabetic nephropathy. 4. any type of infiltrative process--classically amyloidosis or sarcoidosis of the kidney. 5. autosomal dominant polycystic kidney disease. 7. any type of very acute nephritis (e.g., RPGN). The incidence of ANCA-positive disease is in the ballpark of 1:10,000. The incidence of anti-GBM disease is even more rare, at about 1:1,000,000. One would expect if these 2 disease-causing antibodies were entirely independent of one another, the incidence of a "double positive" (e.g., both ANCA & anti-GBM-positive) would be predicted to be (1:10,000 x 1:1,000,000 =) 1 in 10,000,000,000, or one in 10 billion. Double positive disease is much more common than this, however. One study by Levy et al in a 2006 Kidney International paper showed that 5% of all ANCA-positive serum samples were also positive for anti-GBM antibodies, and about 1/3 of all anti-GBM positive samples had detectable ANCA. Most of the time (82%) the double-positive patients had an anti-MPO (myeloperoxidase) specific antibody. Perhaps not surprisingly, the double antibody-positive patients have a worse outcome than single-positive patients. One theory to explain the existence of double-positivity is that the disease starts off as an ANCA-mediated process and damages the glomerular basement membrane, thereby exposing antigens to which an anti-GBM can form. Treatment in the acute setting is generally aggressive (e.g., treat them as if they have anti-GBM disease) and chronically is often managed as an ANCA disease. The Ret gene plays an integral role in kidney development. As is covered in any basic embryology class, the cross-talk between the ureteric bud (destined to become the collecting system of the kidney) and the metanephrogenic mesenchyme (destined to become the renal parencyma and tubules) is a prime example of how reciprocal signals from two distinct tissue types can influence the development of the other. 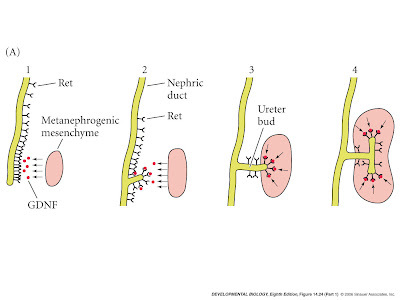 In the case of the kidney, GDNF (glial-derived neurotrophic factor) secreted by the mesenchyme interacts with the Ret receptor, a membrane tyrosine kinase, on the ureteric bud. This interaction is critical for branching morphogenesis, the process by which the kidney serially reiterates in order to create an organ with a million nephrons, as demonstrated by the fact that mice deficient in the Ret gene have a congenital absence of the kidney. Ret is important other human diseases as well. It is a proto-oncogene, as gain-of-function mutations lead to various forms of multiple endocrine neoplasia (MEN). Loss-of-function mutations in contrast can lead to either Hirschprung's disease (a congenital absence of the enteric nerves) or renal hypoplasia. 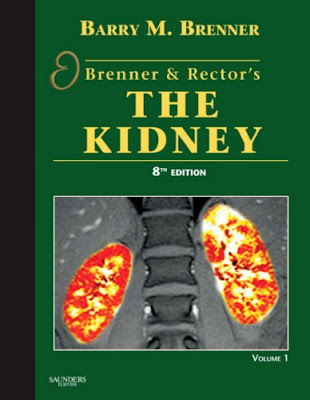 The Brenner Hypothesis--developed by Barry Brenner of the Brigham and Women's Hospital, author of the well-known Brenner & Rector "The Kidney" textbook--states that individuals with a congenital reduction in nephron number have a much greater likelihood of developing adult hypertension and subsequent renal failure. This hypothesis is supported by the observation that there is a strong epidemiologic relationship between intrauterine growth retardation (IUGR)/low birth weight and adult hypertension. The mechanistic explanation for this phenomenon is that compensatory hyperfiltration by the remaining nephrons--similar to what happens in diabetic nephropathy--results in accelerated renal decline. While this theory is appealing at several levels, it does not explain everything: for instance, why most kidney transplant donors, who instantaneously lose 50% of their nephron mass, for the most part do well post-transplant without developing hypertension or renal disease. The Brenner Hypothesis is part of a larger body of work which posits that many common adult diseases (including diabetes and hypertension) are caused by factors which are established during early growth and development, the "fetals origins of adult disease" hypothesis. In 2003, the Fistula First Initiative was enacted, in which an attempt is actively being made to get as many dialysis patients as possible to get dialyzed via an AV fistula. As AV fistulas have been perceived to be the optimal form of dialysis access (with the longest life and fewest infectious complications), this policy seemed to make sense. And while the initiative has achieved important benchmarks (>50% of dialysis patients using AV fistulas as of July 2008 according to the Fistula First website, with a recently revised goal to achieve 65% of prevalent patients using an AVF by 2009), there is some controversy regarding the project. 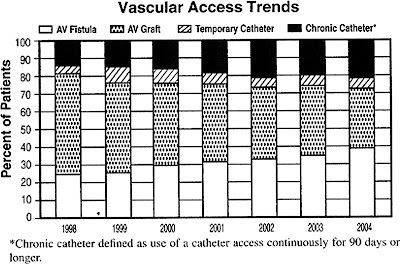 The main issue is that while the # of patients with AV fistulas has increased, the # of patients with tunneled catheters (and its accompanying risks of infection) have also increased, as shown in this graph from Lok in a 2007 C-JASN review. The reason for the increased use of catheters likely stems from the fact that there is an increasing rate of primary fistula failure--typically caused by failure to mature or thrombosis, possibly related to a sicker, more vasculopathic, aging population--and the decreased use of AV grafts. A recent KDOQI workgroup in 2006 re-emphasized that the goal of the Fistula First campaign should be a functional AV fistula, not simply the insertion of an AV fistula with a poor chance at maturing. As one vasscular surgeon at our hospital points out, the initiative should be "Patient First" rather than simply "Fistula First." In other words, the vascular access strategy should be individualized to the patient--meaning that for elderly, vasculopaths with poor native vessels who are anticipated to require dialysis in the near future, it may be appropriate to begin with a AV graft rather than attempting an AV fistula with little chance of success. Once a frequent culprit of acute interstitial nephritis, vancomycin is a very rare cause of renal failure with newer formulations which use a different vehicle for its iv administration. 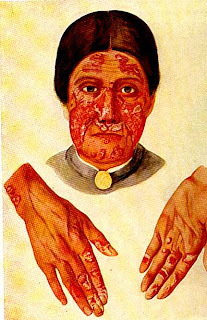 It still however has the potential to cause the relatively common side effect of red man syndrome, a histamine-induced phenomenon in which there is the appearance of flushing, erythema, and potentially even hypotension and angioedema which occur during an infusion of this gram-positive antibiotic. 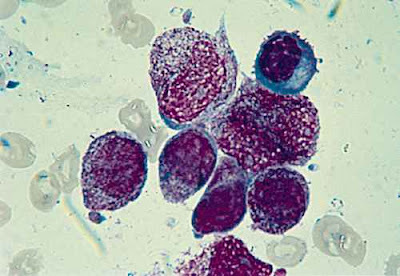 This phenotype is due to mast cell (see accompanying electron micrograph) degranulation and is not an IgE-mediated allergic reaction. It can be treated by slowing down the rate of infusion (it is recommended to give a full dose over at least a 60-minute time period) and administering antihistamines. Interestingly, red man syndrome appears to occur more frequently in healthy individuals (who are volunteering for drug studies) than in those with active infection; the thought here is that elevated baseline levels of serum histamine (as might be seen in active infection, which is an overall inflammatory state) are paradoxically desensitizing to the effects of vancomycin-induced histamine release from mast cells. Vancomycin was originally isolated from a soil sample from the jungles of Borneo. My friend from graduate school writes about a real-life personal experience with vancomycin-induced red man syndrome on her ABC Blog. Neonatal lupus occurs when autoantibodies are transmitted from the mother to the fetus; it usually manifests as a transient and mild lupoid rash which lasts 3-6 months, but can also result in more serious manifestations such as congenital heart block, immune thrombocytopenia, cholestatic liver disease, or autoimmune hemolytic anemia. The autoantibodies anti-Ro (SSA) and anti-La (SSB) (also seen in Sjogren's Syndrome) are the culprits here; they are present in about 30% of SLE patients. It is somewhat controversial whether or not pregnant women with lupus experience flares more frequently than their non-pregnant counterparts. 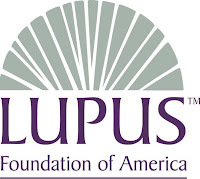 Regardless, however, the issue of a lupus flare in a pregnant patient is not uncommon, especially considering that the disease tends to affect young females. In general, the mainstays of treatment for lupus flares during pregnancy are AZATHIOPRINE and STEROIDS; both have had a pretty good track record for safety in pregnancy. Low-dose cyclosporin A may also be a consideration, and for patients in whom there is evidence of anti-phospholipid antibody syndrome, clot prophylaxis should be initiated with aspirin or low-molecular weight heparin. Drugs specifically to be avoided in lupus pregnancies are CYCLOPHOSPHAMIDE (which unequivocally causes birth defects, especially during the 1st trimester) and MYCOPHENOLATE MOFETIL (which recently has been shown to result in ear and other facial malformations such as cleft lip and cleft palate). It turns out that not only do gadolinium-based contrast agents result in nephrogenic systemic fibrosis (NSF), but certain ones can also interfere with some of the common assays for quantifying serum calcium, leading to sporadic hypocalcemia. The two widely used gado agents associated with this phenomenon are gadodiamide and gadoversetamide. It is especially true in patients with underlying renal insufficiency, as the gadolinium will hang around longer. As a 2nd year nephrology fellow I am now doing some work in a lab which studies zebrafish kidney development. 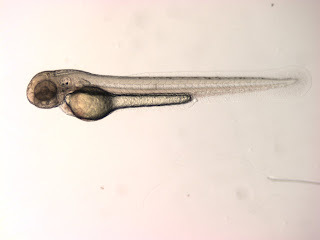 Here is an example of a control (wild-type) zebrafish at 54 hours post-fertilization. If you use a morpholino (a form of antisense technology) to knock down a gene important for kidney function, you get massive edema after 3-4 days--as shown in the photos below. 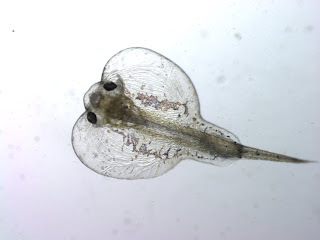 This is because zebrafish (a type of minnow native to India) live in freshwater, where the osmolarity is much lower than the intravascular osmolarity; with loss of renal salt and water homeostasis, volume overload ensues. 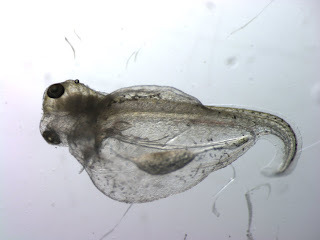 This condition can be mitigated by putting the fish in saline water approximating the fish's endogenous osmolarity. Cyclosporin A (CsA) has been a mainstay of therapy for nephrologists: it (along with tacrolimus) has become the cornerstone of immunosuppressant therapy for kidney transplant patients; in addition, it has also seen use as an effective agent in proteinuric disease states such as membranous nephropathy, FSGS, and minimal change disease. 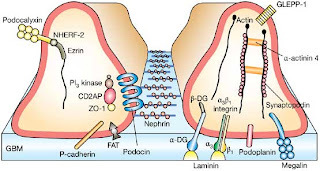 The mechanism by which CsA acts as an immunosuppressant is well worked out: it binds to and inhibits calcineurin, an intracellular phosphatase, and thereby prevents the transcription factor NFAT from translocating to the nucleus and upregulating IL-2 transcription. However, new data presented in a recent Nature Medicine paper suggests an entirely new mechanism by which CsA acts in the treatment of nephrotic syndrome: it tightens up the actin cytoskeleton of the podocyte which is required for maintaining a working slit diaphragm. In this paper, the authors demonstrate that CsA blocks the calcineurin-mediated dephosphorylation of synaptopodin, a protein in podocytes which regulates the actin cytoskeleton. As mentioned recently in this blog, we know already know that the actin cytoskeleton is critical for maintaining the filtration barrier as genes such as alpha-actinin 4 when mutated result in congenital FSGS. Heavy metals & the kidney are an interesting topic all-around. Aberrant metabolism of heavy metals such as iron, copper, lead all contribute to significant renal pathology. And you can add the heavy metal cadmium to that list as well. Cadmium toxicity is most notably manifest as renal tubular impairment, specifically in the proximal convoluted tubule, though it may also result in hepatotoxicity and osteoporosis. 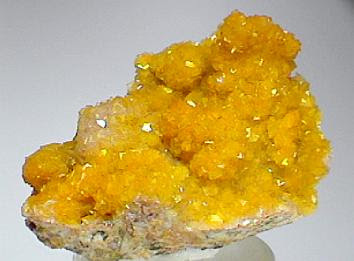 Normal cadmium handling begins in the liver, where it binds to the small molecular weight protein metallotheionein. The metallotheionein-cadmium complexes are freely filtered at the glomerulus, then gets taken up at the proximal tubule by pinocytosis. 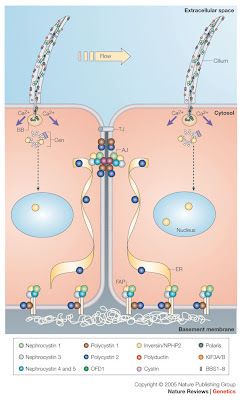 The metallotheionein-cadmium complexes are degraded in lysosomes and excess cadmium is excreted into the tubular lumen via a specific transporter. Large amounts of cadmium can overwhelm this system and lead to proximal tubular damage. Not surprisingly, this results in a Fanconi's Syndrome which can include a proximal (type II) RTA, glucosuria, phosphaturia, and amino aciduria. One of the ways in which subtle proximal tubular damage via cadmium can be monitored is to look for urine b-2 microglobulin levels, which are handled in the PCT via a similar mechanism as metallotheionein. Quick case summary as presented in Renal Grand Rounds today: A 54 year-old man presents with altered mental status, a sky-high ammonia level (>200) and anemia requiring blood transfusion. Other unusual lab values include hypophosphatemia and hypokalemia with a significant non-anion gap metabolic acidosis. Subsequent workup reveals 3+ glucosuria and aminoaciduria. What's the underlying diagnosis? -myeloma is the cause of his anemia. -myeloma and other paraproteinemias are a major cause of adult-onset Fanconi's Syndrome, which this patient has, as demonstrated by his aminoaciduria, glucosuria, phosphaturia, proximal renal tubular acidosis. Adynamic bone disease is being increasingly recognized as the most common form of renal osteodystrophy. It is characterized by the reduced synthesis of bone matrix due to decreased osteoblastic and osteoclastic activity. Adynamic bone disease is distinct from osteomalacia, in which osteoid (the bone protein matrix, composed primarily of type I collagen) accumulates due to a lack of osteoblast activity or defective osteoid mineralization, as opposed to the simple decreased rate of turnover seen in adynamic bone disease. Adynamic bone disease is particularly common in the peritoneal dialysis population in that the constant exposure to calcium in the dialysate fluid leads to episodic hypercalcemia and suppression of PTH levels which results in adynamic bone. A 2006 study by Haris et al in Kidney International randomized PD patients with adynamic bone disease (as assessed by bone biopsy) to normal Ca (1.62mM) versus low Ca (1.0mM) dialysate. The low-Ca dialysate group developed a higher PTH and bone turnover rates within the normal range, suggesting that the low Ca dialysate strategy is a good one for PD patients in order to avoid adynamic bone. 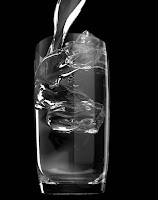 Water as therapy for PKD? There are several clinical trials regarding the slowing of progression of polycystic kidney disease currently being conducted; amongst the drugs being studied are V2 receptor antagonists. The rationale for this is that cyclic AMP (cAMP) is known to be required for cyst growth; as ADH signaling involves an elevation of intracellular cAMP levels in the collecting duct, V2 receptor antagonists (e.g., the "vaptans") would be predicted to lower intracellular cAMP concentration and thereby lead to decreased cyst growth. An even more economic treatment logically presents itself: drink more water! It is not known whether or not this would have a long-term benefit, but the recommendation to drink 3L of water a day (a recommendation which is fairly routine for stone-formers) would be predicted to decrease ADH levels by approximately 50%. PKD patients also should be advised to avoid health products which contain forskolin--a potent stimulator of cAMP, which would therefore be predicted to accelerate cyst growth. Forskolin is an ingredient in various bodybuilding supplements and other non-FDA-regulated health care products. Dialysis adequacy is traditionally measured as either Kt/V (most popular in outpatient dialysis units) or urea reduction ratio (URR, most popular with acute dialysis/inpatient dialysis units). Both methods use the degree to which urea is cleared--by comparing the urea concentration before and after dialysis--as the central means by which adequacy is determined. Regardless of which method is chosen, the means by which these values are obtained is vitally important. The "pre-dialysis" BUN should be drawn before dialysis is actually begun. It's okay to hook the patient up to the machine, but the blood sample should be drawn before the actual treatment is begun. The "post-dialysis" BUN must be drawn in a manner described in the KDOQI Guidelines. The blood is drawn from the arterial line at the end of the treatment; one of the main risks here is that there is always some degree of access recirculation, in which some percentage of just-dialyzed blood makes it back into the arterial line. This will have the effect of artificially lowering the post-dialysis BUN, and can lead to falsely high URR or Kt/V readings. 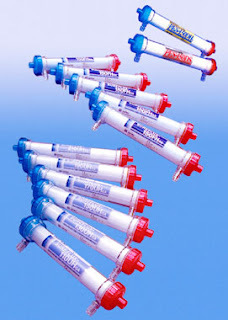 To avoid access circulation problems, the dialysis nurse should slow down the blood flow through the dialyzer to a rate at which access recirculation is negligible. Generally, a blood flow of 100 mL/min for 15 seconds is enough to clear the blood occupying the "dead space" of access plus tubing. Congenital nephrotic syndrome only makes up between 2-8% of all forms of nephrotic syndrome, but is a hot topic in that there are numerous genes continuously being identified which are helping to advance our understanding of podocyte biology. 1. nephrin (NPHS1): this was the first gene identified which causes congenital nephrotic syndrome of the Finnish type. As shown in the cartoon above, nephrin is a major component of the slit diaphragm. 2. podocin (NPHS2): this was the next gene identified and is the most commonly mutated gene causing steroid-resistant nephrotic syndrome. 3. WT1: this is the Wilms Tumor gene which acts as a transcriptional activator or repressor and is essential for proper development of the genitourinary system. 4. LAMB2: this is a gene for laminin, one of the components of the glomerular basement membrane. 5. PLCE1: this surprising gene--which unlike the others does not play an important structural role in the slit diaphragm--encodes an isoform of phospholipase epsilon gene. Individuals with this mutation actually show an increased responsiveness towards steroid therapy. 6. alpha-actinin-4: this gene encodes an actin filament-crosslinking protein which can cause congenital FSGS. 7. TRPC6: this gene encodes a calcium channel expressed in podocytes, and mutations in it can result in congenital FSGS. This list of genes causing congenital nephrotic syndrome is likely to expand as there are families with this condition which do not link to any of the above loci. Toluene--a hydrocarbon which is present in gasoline, paint thinners, and many industrial solvents--can have a variety of effects on acid-base metabolism by the kidney: it can cause both a non-anion gap OR an anion gap metabolic acidosis, depending on whether or not the exposure is acute or chronic. The most well-described with chronic or repeated exposure--as might be seen in a patient who has the unhealthy habit of glue sniffing, or "huffing"--is a renal tubular acidosis, resulting in a non-anion gap metabolic acidosis and hypokalemia. Multiple case reports support the existence of both distal and proximal RTAs with toluene exposure. However, acute toluene exposure can also lead to an anion gap. This is because the major byproduct of toluene breakdown by the liver's cytochrome p-450 system is hippuric acid, which is an (unmeasured) organic acid. This is why your 1st-grade teacher told you to stop sniffing the glue.